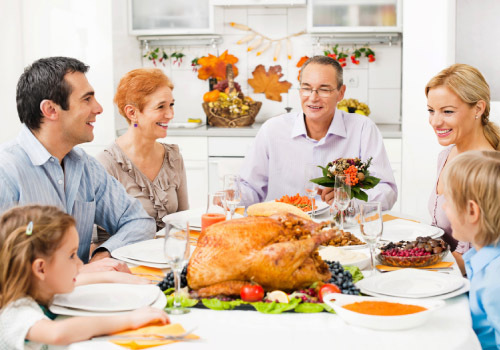 Managing health issues like diabetes can be a challenge during the holidays. If you are living with diabetes, or are at risk of developing the disease, daily choices have a profound impact on your well-being. The foods you eat, the amount of exercise you do, and the levels of stress in your life all affect blood sugar levels. By simply making better choices, you have the power to prevent the complications of diabetes. Aim for small improvements. Take simple, easy-to-manage steps throughout the holidays to get you on-track for a healthy 2018. Test your glucose levels throughout the day to get a clear picture of how your diet and daily activities are affecting you. Ideal blood sugar levels for those with diabetes are between 70 and 140 mg/dL (180 mg/dL, 2 hours after meals). If your levels are high, take a walk after you eat to help bring blood sugar down naturally. Or, cut back on the carbohydrate content in meals or snacks. Track your numbers in a planner or on your smartphone so you can share them with your doctor. Exercise is especially important in diabetes prevention and management because it helps the body to lower blood sugar efficiently. If you are only able to make one change during the holiday, add more movement into your day. All forms of movement help including walking, biking, gardening, swimming, taking an exercise class, or playing with your children or grandchildren. With the hectic pace of the holiday season, it is easy to overlook the importance of nourishing our bodies. Set a schedule for your meals and snacks. Eat every 4-6 hours, make healthy food choices, and savor each bite. Remember that food is fuel, and be sure to chew thoroughly. Both will aid in digestion while helping to improve your mood. A well-balanced, nutrient-rich diet is crucial for managing diabetes. Research studies indicate that individuals who consume high amounts of magnesium and chromium may have better blood sugar control. Magnesium content is highest in unprocessed foods like green leafy vegetables, nuts, beans, and whole grains. Chromium is found in a variety of unprocessed foods including broccoli, potatoes, meats, and whole grains. Limit holiday sweets which are processed and high in sugar and carbohydrates.